Dave Cross thinks more about the design of DJ gear than even most passionate electronic music enthusiasts. Aside from stints at DJ Times and Ableton, this is a man who wrote an honors thesis on the history of the DJ mixer [PDF]. Then again, maybe it’s more a matter of the industry being painfully behind. 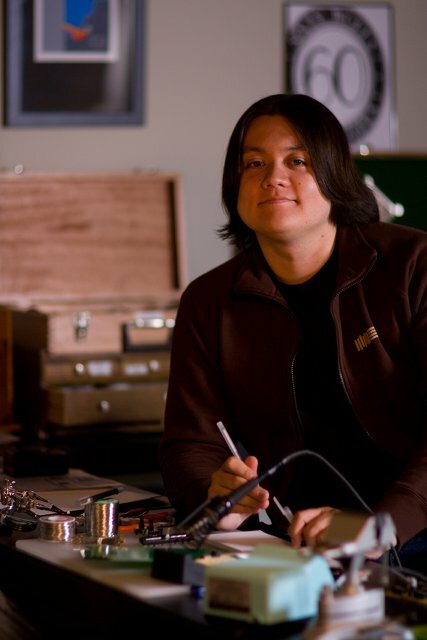 In, 2006 when he designed his beautiful, vintage-styled Briefcase into the chassis of a 70s Sony mic mixer, there were few MIDI controllers for DJs even on the market. 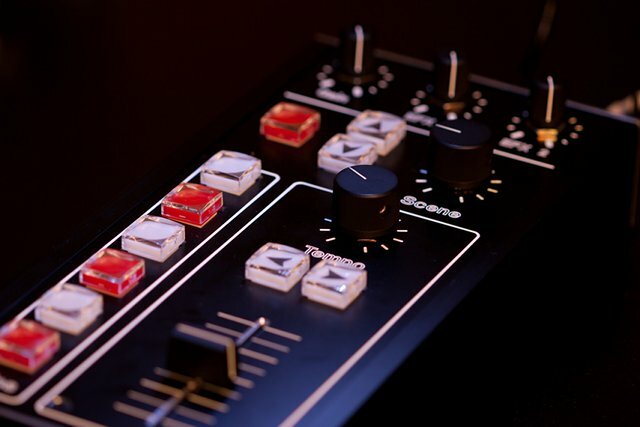 Times have changed, and in the mind-numbing cycle of industry products, it’s likely this year’s NAMM trade show will include a deluge of controllers from DJ manufacturers. As he gets his business going, Dave shares two stories that may interest. For one, he’s assembled his notes on building DIY hardware if you want to make your own – which, for many of us, is part of the pleasure of electronic music making today. He also has a proof of concept in a one-off design that bridges the world of laptops and traditional DJing. 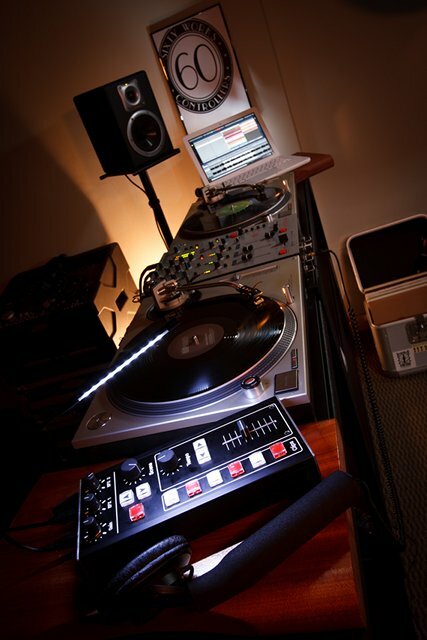 As those aforementioned DJ manufactures try to meld computer and deck, Dave’s “Third Deck” does the opposite, assuming DJs will want to segregate the computer portion of the rig. Here, Dave shares with us his outlook and goals. It’s not available for sale. Its primary purpose was to showcase a controller so specific in its design that it would make no sense to build it en masse. 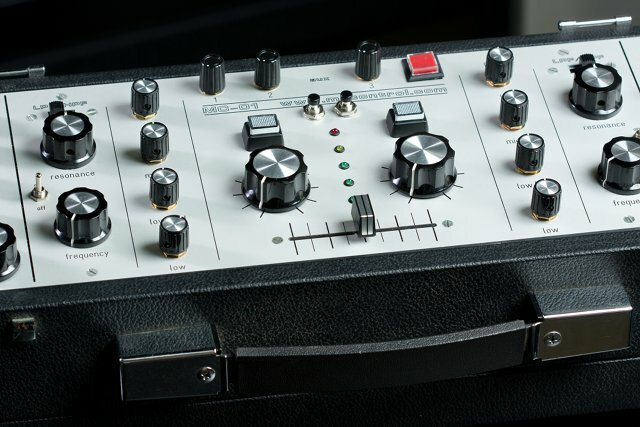 It’s a dream controller for one imaginary person – the staunchly anti-digital DJs I meet who don’t want the laptop to “infect” their traditional two-deck ways. If you look at its functions, you’ll see it’s pretty limited in scope. That’s intentional – it was made only for this specific purpose. I’m far from anti-digital (in case that wasn’t painfully obvious already), but I have to admit, I find the simplicity of the Third Deck inspiring. Built to work with Ableton Live and carrying a minimal complement of buttons and knobs, it allows the laptop to disappear into the shadows. Scene and clip triggering, basic effects, and tempo controls remain (both coarse and fine). The emphasis is absolutely on DJing, not instrumentalism, but the underlying concept could apply anywhere: it re-casts the laptop as hardware and forces the user to do more with less. Since it’s not available for sale (unless Dave reconsiders), that leaves custom jobs to create the solution specific to a DJ client. Putting it in practical business terms: I want a company that prioritizes service and support over volume. I don’t want to compete with X company that makes thousands of a single device. I want to make products so out-there, so custom, that company X isn’t willing to make them. There are custom guitar, drum, motorcycle and car shops out there. I want to follow that vein with controllers. Dave’s 2006 Briefcase used a vintage housing to add style. Dave is of course aware (and even credits) others in the field. There’s even a page dedicated to “the competition.” But I do think Dave is in more uncharted territory: the tech blog DJ Tech Tools, for instance, isn’t just doing one-offs, while builders like Livid both make gear for wider audiences and without necessarily focusing on DJs. Anyway, I’m sure there’s room for more; while you wouldn’t guess it reading sites like mine, the surprising truth is that most musicians and DJs simply aren’t aware of the craft of controller-building and use. Ah, but perhaps you’d like to try this all yourself. The inspiration came from Moldover, after a breakfast chat. He helped me realize that all we had learned over the years – in terms of controller building – was not some secret. Treating it as a secret, and building a business around that secret (“60 Works can build you a custom controller – something you couldn’t do on your own….”) would be foolish. 60 Works is the service and the expertise – not the core knowledge behind DIY controller building. Another reason I wrote it – as a defensive measure. My products are going to be expensive. Expensive enough that most visitors will not be customers. I wanted to give them (and myself) an ‘out.’ They may not be able to use my services, but at least I’m giving them the resources to start the journey on their own, if they wish. Read that article to learn the fundamentals of building your own hardware, including an overview of available DIY components and “brains” (the microcontroller that process inputs), and even how to connect knobs and faders. As you get deeper into the article, there’s some useful practical advice that you could otherwise learn only through experience. I’ll be curious to hear what people think of Dave’s effort, and if you have anything to add (or any further questions) after checking out the DIY story. All photos courtesy 60 Works.